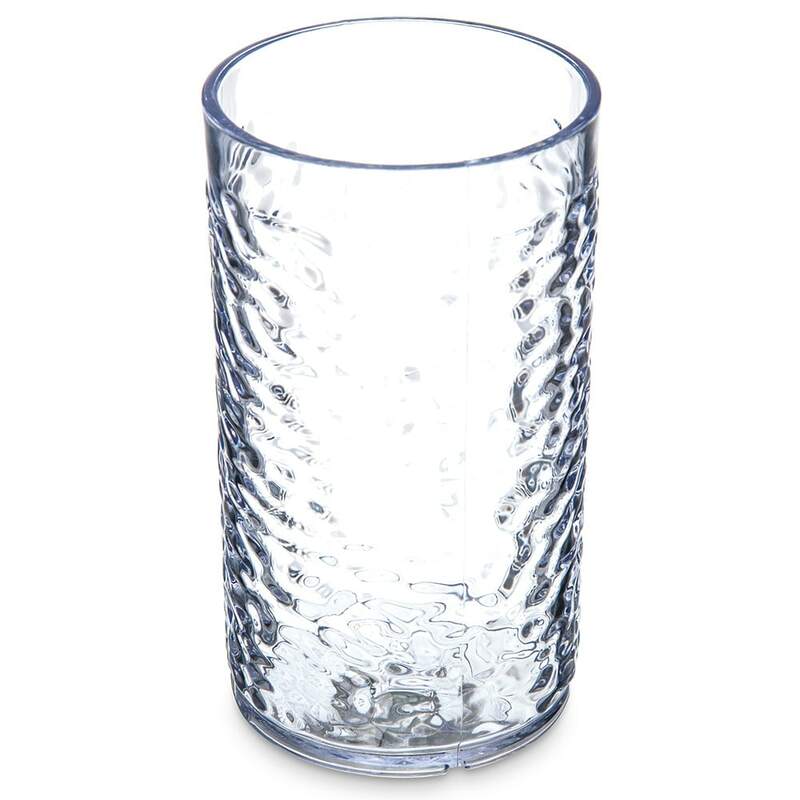 Carlisle's sturdy, 12-ounce pebble optic tumbler adds an attractive and practical approach to your beverage delivery. The unique, textured construction of this pebble tumbler provides a convenient way to hide scratches on its exterior, which will make this cup a mainstay at your busy restaurant for years to come. 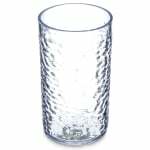 The clear, SAN plastic construction is virtually unbreakable and makes it safe to place this 12-ounce tumbler in your dishwasher for fast cleaning. "They look rich and high quality, non breakable and look like they will last for years." "My 97 year old grandmother had these in her kitchen cabinet when she died. She used them for yrs and she was VERY practical."